I love love love shoes (and bags) and this has filtered into the way I shop for my kids. Recently I post on Facebook the shoes I bought for Laetitia and Loïc and one of my best friends asked me why Loïc needs three new pairs of shoes when he is not even walking yet. :p Well, those shoes I bought for him are pre-walking or early walking shoes. 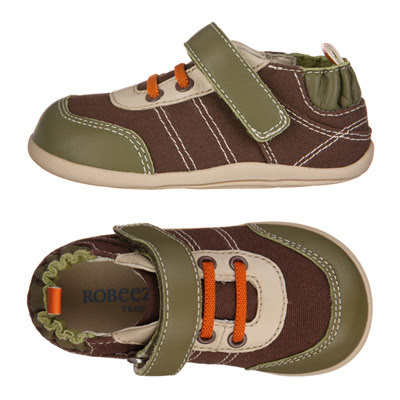 And in any case, even if he is not walking yet when he fits into them, they are too cute to be passed over. 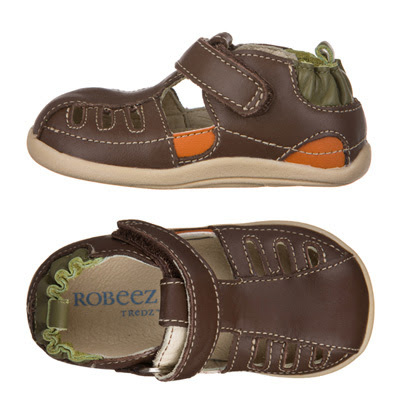 Well, so here are the three pairs of Robeez Tredz I got. Are they not the cutest? Plus in this case, the shoes, though were shopped for by me, came from part of the budget that my parents-in-law gave to us as a present for Loïc's birth. The very generous gift has so far allowed us to get him a new stroller, a winter stroller muff and bath ring in addition to the shoes. Well, back to shoes. 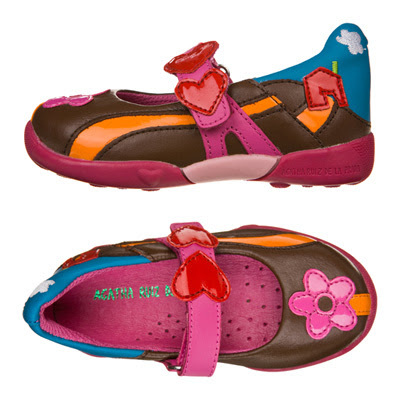 I also got some pretty Agatha Ruiz de la Prada shoes for Laetitia too.